SOUTH HOLLAND, IL –The Art & Design Department of South Suburban College is pleased to announce a special guest artist exhibition titled The Mask Behind the Mask, Photographs by David Hauptschein, in the Photo Four Gallery from now through its closing reception on October 24th at 12:30 p.m. 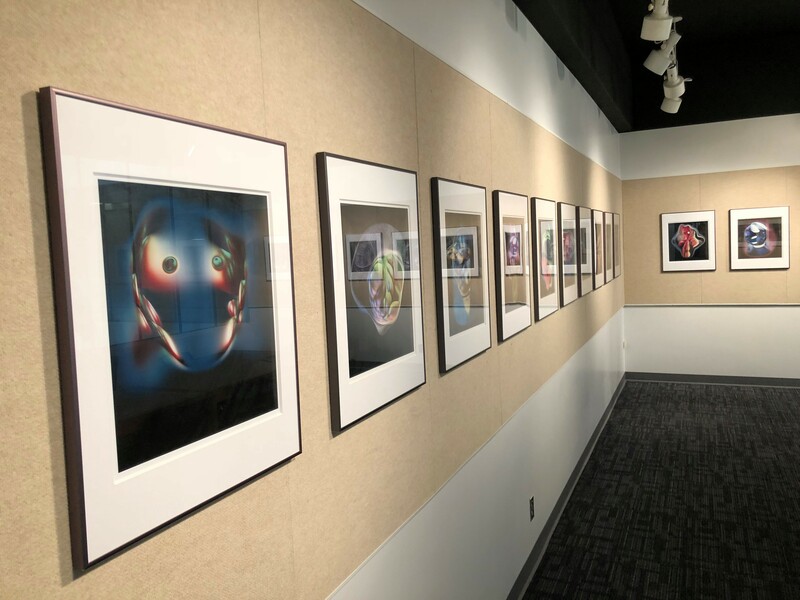 The Photo Four Gallery is located in Room 4338 on the 4th Floor of SSC’s Main Campus. Hauptschein is currently working on several series of photo-based digital paintings. Selections from Never Before Seen and The Mask Behind the Mask were exhibited at the Zhou B Art Center in Chicago in 2016. Additionally, Hauptschein is an award-winning playwright, director, and producer. He also created an award-winning experimental animated short film entitled Fecundation. SSC Galleries are open at minimum Mondays through Thursdays from 9:00 a.m. – 6:00 p.m., and Fridays from 9:00 a.m. – 4:00 p.m. The galleries are closed on weekends and holidays. The public is welcome to visit art exhibitions and receptions at no charge.